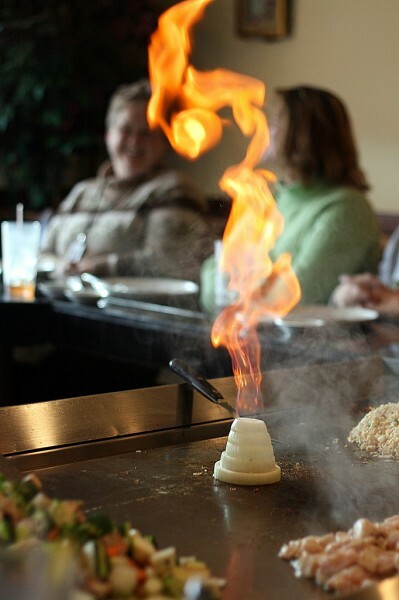 One of the coolest things the Hibachi Chefs do at the local Japanese steakhouse is the Flaming Onion Volcano. The Chef takes slices from the middle of a large onion (perhaps Vidalia), separates the layers, stacks them on top of each other, squirts some oil in there, and then starts it up with a lighter. They also throw some spice into the flame to make it sparkle. 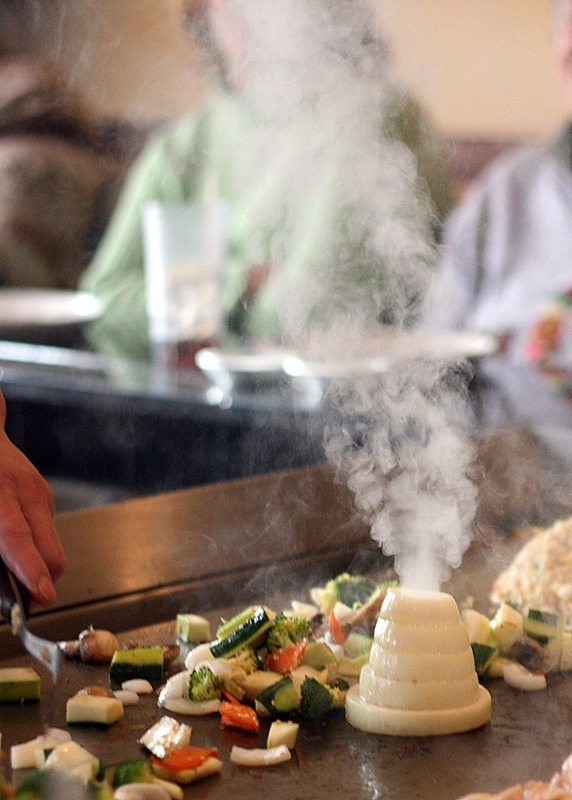 When the flame dies, the volcano smokes, and then the Chef throws some sauce (like teriyaki) and lets it bubble over the top. What temperature should i put on stove do it on a frying pan?